Bio-archaeological studies of children have, until recently, centred on population data-driven topics like mortality rates and growth and morbidity patterns. This volume examines emerging issues in childhood studies, looking at historic and prehistoric contexts and framing questions about the nature and quality of children's lives. How did they develop their social identity? Were they economic actors in early civilizations? Does their health reflect that of the larger community? Comparing and contrasting field research from a variety of sites across Europe and the Americas, the contributors to this volume demonstrate that children not only have unique experiences but also share, cross-culturally, in daily struggles. Their lives differ significantly from those of adults due to disparate social identities and variable growth needs. In some of the cases presented, this is the first time that child remains have been examined in any detail, making Tracing Childhood an essential resource for scholars and researchers in this growing field. An excellent range of well-written papers. . .[that] provide new and very interesting information about the lives of children in the past. "Childhood in the Past"
Anyone who has interacted with children recognize that they are not passive actors in society. Tracing Childhood emphasizes the value of the biocultural approach taken by bioarchaeologists in exploring this active role and demonstrates the contribution that such studies can make. Journal of Anthropological Research"
The first edited book on childhood to adopt a bioarchaeological focus throughout. 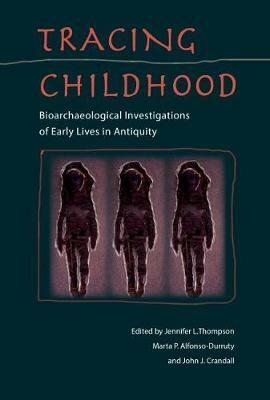 . . .Tracing Childhood brings together an exciting and diverse range of chapters that showcase the value of bioarchaeological perspectives concerning childhood in the past. American Antiquity"